H-E-B is on an absolute hot streak. First, we have all those classic Spurs commercials. Then there was the incredible Selena reusable shopping bag (anyone have any extras?). Their next big thing? 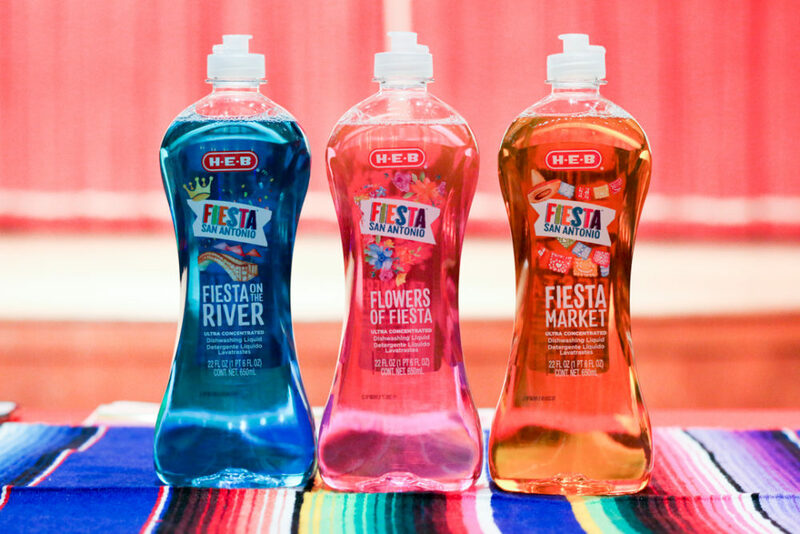 H-E-B Fiesta dish soap. Now you can Fiesta-ize your chores! 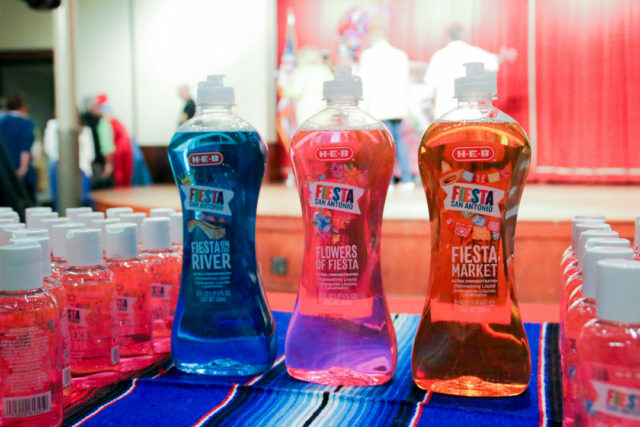 The H-E-B Fiesta dish soap debuted today at the Fiesta Media Day. When I saw them at their booth, I knew that H-E-B once again had Fiesta lightening in a bottle. I couldn’t help but snagging a sample (or two). Nicollette Sherrod, owned brand manager at H-E-B, said that her team had been working on the soap since last summer to perfect how the soap looked and smelled. The soaps come in three different colors: the blue Fiesta on the River, pink Flowers of Fiesta and orange Fiesta Market. They were released in store today and you can pick up a bottle for right at two bucks at your local H-E-B. Since the dish duty at home typically falls on me—momma cooks/I clean—you better believe that the H-E-B Fiesta dish soap is going to be on my list. 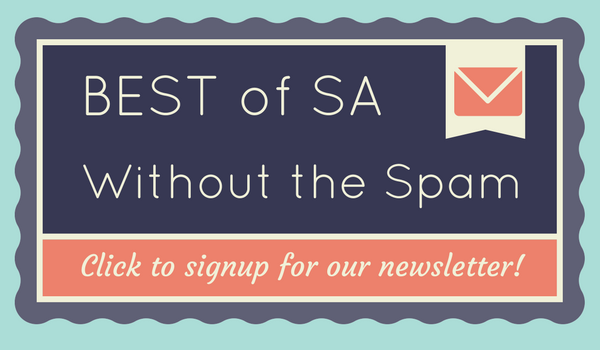 Heck, I may even wear all my SA Flavor Fiesta Medals while I do the dishes! They’re limited edition so get them while you can—and if they’re as limited as those Selina bags you can bet that they won’t last on the shelf for long. ¡VIVA Fiesta! ¡VIVA H-E-B!